Santa Monica, California, April 5, 2016 – Apogee Electronics is pleased to introduce a new member of their ONE audio interface family, ONE for Mac. ONE for Mac is a 2 IN x 2 OUT USB Audio Interface/Microphone that is the most affordable all-in-one solution for writing, recording and mixing music on your Mac. The third generation in the Apogee ONE family, ONE for Mac features the same sound quality and essential functionality as the Apogee ONE for iPad & Mac. Now streamlined for Mac-only use, (it does not include iOS cable, power supply or battery operation), ONE for Mac is available at the more accessible price point of $249 USD – with an optional iOS connectivity kit sold separately. 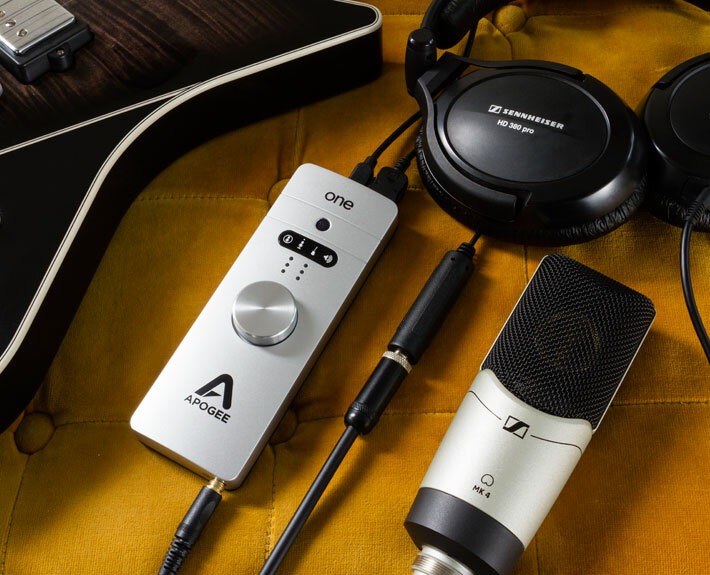 Whether you are a beginner or pro, you can use ONE with its built-in microphone, instrument and mic input and high quality output as the ultimate all-in-one tool for making professional recordings in your studio or on the go.